Reliable measurements of airborne volatile or hazardous substances in the field using onsite instruments are useful for: (a) selecting personal protective equipment at an industrial site; (b) delineating areas where protection is needed; (c) assessing the potential health effects of hazardous exposure; (d) determining the need for specific medical monitoring; and (e) providing an early warning for personnel evacuation due to contamination, when necessary. The National Pollutant Discharge Elimination System (NPDES) reporting requirements for effluent testing allow alternate methods of analysis to be substituted for the prescribed methods if prior approval has been obtained from the U.S. Environmental Protection Agency (USEPA) regional administrator having jurisdiction where the discharge occurs. Steps an individual permit holder must take to use an alternate test procedure for regulatory reporting of specific discharges follow. An alternate test procedure differs from those published in the Federal Register for NPDES-certification purposes (Source: Federal Register, Title 40, Chapter 1, Subchapter D, Part 136: Vol. 38, No. 199, Oct. 16, 1973; Vol. 41, No. 232, Dec. 1, 1976). 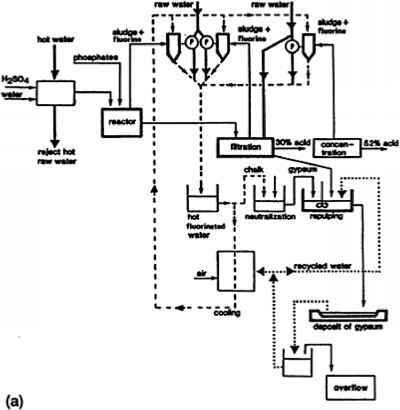 Many Hach methods (Hach Company, Loveland, CO, USA) are identical to these published methods and thus are approved by USEPA and highly recommended by the authors for rapid field testing of effluent samples. Direct-reading instruments have been developed as early warning devices for use at various industrial sites, where a leak or an accident could release a high concentration or high dose of a known chemical or known radiation into the environment. They provide information on flammable, or explosive atmospheres, oxygen deficiency, certain gases and vapors, or ionizing radiation, at the time of measuring, enabling rapid decision making by the plant managers. Direct-reading instruments, which can be either batch monitoring systems or continuous monitoring systems, are the primary tools of initial site characterization. The readers are referred to Chapter 1 entitled "Onsite Monitoring and Analyses of Industrial Pollutants" for more information on several common direct-reading field instruments and their conditions and/ or hazardous substances they measure. As a minimum, the flame ionization detector (FID) or the photo-ionization detector (PID) must be available at industrial sites handling hazardous substances. In general, two activities determine the generator category of an industrial plant: the rate at which the plant generates and how much the plant stores (accumulates). Under new, more flexible regulations, the amount and length of time an industrial plant can accumulate wastes may vary according to the type of waste. In the State of Massachusetts, there are three generator statuses, which are introduced below as a typical example. 1. Large Quantity Generator (LQG): generates more than 1000kg (2200 lb) of hazardous waste in a month; once the first 1000 kg has been accumulated, the waste must be shipped within 90 days; there is no limit to the amount that can be accumulated. 2. Small Quantity Generator (SQG): generates less than 1000 kg of hazardous waste in a month, and/or less than 1 kg of acutely hazardous waste (acutely hazardous waste is listed in the State regulations). 3. Very Small Quantity Generator (VSQG): generates less than 100 kg of hazardous waste in a month, and generates no acutely hazardous waste. Other State governments in the United States have similar regulatory requirements. The maximum monthly volume of waste oil and maximum monthly volume of all other hazardous waste generated at an industrial plant site can be estimated and regulated according to the State of Massachusetts "Guide to Determining Status and Regulatory Requirements" (Table 2). An industrial plant in Massachusetts generates 60 gallons of spent solvent and 550 gallons (2081.75 L) of waste oil in a month. According to the Guide (Table 2); the plant is a Small Quantity Generator (SQG) of hazardous waste because it produces more than 100 kg but less than 1000 kg, and the plant is also a Large Quantity Generator (LQG) of waste oil because the plant produces more than 1000 kg. The plant's regulatory status is found in Table 2, under line 5 (SQG for HW; LQG for WO). Note: This matrix guide does not reflect acutely hazardous wastes. aA manifest must be used for the VSQG category unless self-transported. bWhen accumulating in both tanks and containers, the total accumulation cannot exceed 6000 kg and the container accumulation cannot exceed 2000 kg. VSQG=less than 100 kg per month of waste generation. containers (Table 2), whichever happens first (column 3). The plant must ship its waste oil every 90 days regardless of the volume. The plant manager must obtain an USEPA Identification Number and use a manifest for both wastes. 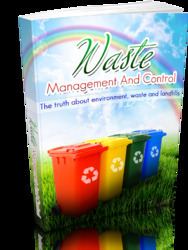 The plant manager must manage his/her waste according to the accumulation area standards and must fulfill the emergency preparation and response requirements listed in subsequent sections. The plant manager, however, is not required to file an annual report or a contingency plan or provide full personnel training, which is necessary for larger generators.